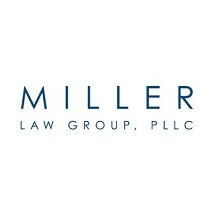 At Miller Law Group, PLLC, in Raleigh, North Carolina, we offer unmatched legal advocacy and support to individuals, families and business owners facing tough and complex legal challenges. Regardless of your situation, you can trust that we will work tirelessly to help you obtain the justice you seek. Our compassionate, award-winning attorneys and friendly support staff will always treat you with the respect and dignity you deserve, and our clients appreciate the high level of personalized support we provide. As veterans of more than 100 jury trials, we are undaunted by the courts, and we will fight hard to protect your rights and interests while helping you secure a brighter future for yourself, your family and your business. To date, we have recovered over $70 million in verdicts and settlements on behalf of our clients, earning our reputation as one of the region's top law firms for those in need. To find out more about how Miller Law Group, PLLC, can best serve your needs and help you through your difficult time, you can contact our law office to receive a free initial consultation concerning your case.